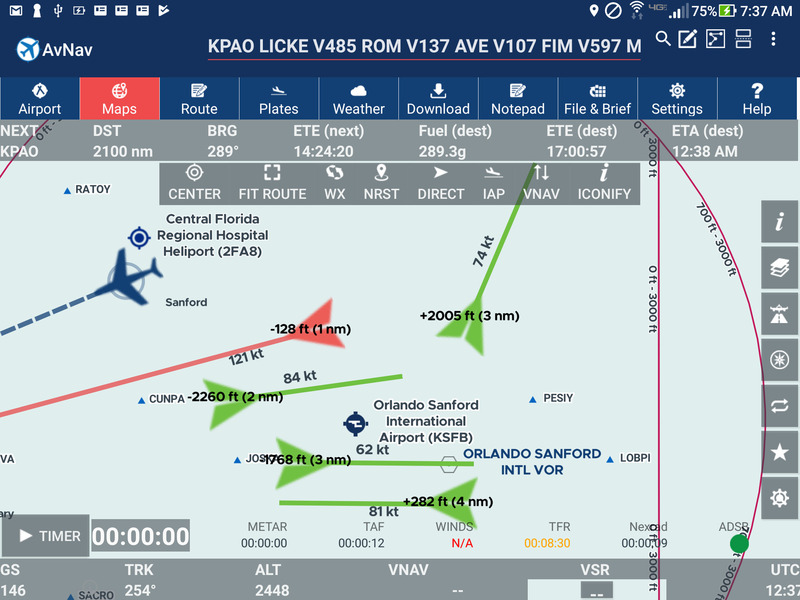 AvNav 4 - The Most Advanced Android App for Pilots Just Got Better! AvNav 4 is a complete remake of AvNav internals around a new mapping engine. Our primary goal here is improvement in stability. But we have also used this opportunity to build a foundation for many new features. Below you will find details of just four of those improvements in separate tabs. We rewrote AvNav from ground up to eliminate crashes. Map page now loads instantly. There is a new Vector map layer. We now show active and pending SUA/MOA only - so no need to worry about inactive airspaces anymore. 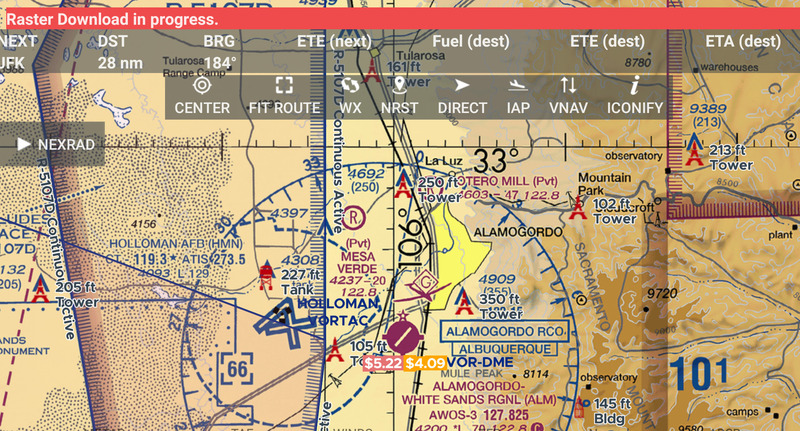 PIREPS, AIRMETS are overlayed on map page too. Terrain layer is greatly improved in performance and now includes hillshading. We revamped Airport page to show all frequencies - including those hard to find Pilot Controlled Lighting frequencies. You can now fly into unfamilar airport knowing you have all the frequencies you will need to talk to someone. Airport page shows Sunrise/Sunset times in local time zone (it was Zulu earlier) - a very convenient tool. NOTAM and Remaks page highlight CLOSED, Out of service and other keywords in Yellow. We made download page much simpler - all major downloads are on a single page. Raster charts are packaged as single download for the 48 states. If you are in a hurry or low on bandwidth or storage - you can still download individual charts. With AvNav you have a choice. As before downloads are parallel and you can use the app while download is in progress. We rewrote ADSB parser form ground up - so you can get all the traffic and weather in the air. We have greatly expanded our support for various models of ADSB receivers. You can connect to virtually any ADSB receiver as long you know its UDP port. For most receivers AvNav already knows port number and you dont have to do anything. Simply connect to receiver and go !